If you have a well-drafted estate plan in place, you’ll increase the likelihood that your estate passes to whom you want, when you want, and is carried out in the manner you’ve chosen. You can find comfort that your family likely won’t have to endure the public process and costly matter of probate. The government won’t be able to take what you’ve spent a lifetime building. But you need to be aware of the many options that exist in estate planning—and you must choose your attorney wisely. 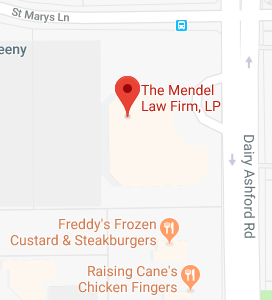 That is why The Mendel Law Firm, L.P. offers this wealth of free information. Read our Estate Planning articles or download our free worksheet. We want you to feel confident about the choices you make—let us be your guide on the path toward preserving your family’s future. We provide comprehensive, tailored estate planning services to meet all of our clients’ needs. Below is a sampling of the type of services we offer. If you have questions about any of our services, please do not hesitate to contact us or call us at (281) 759-3213.
Business Succession Planning is the process of developing an action plan for the transfers of leadership that inevitably occur in a business, whether big or small. We provide legal assistance to help you develop a plan to identify and develop members of your company in order to ensure a smooth passing of the torch from one leader to the next. We offer guidance and assistance to members of the LGBTQ Community on their unique estate planning needs. This includes assistance in setting up Living Trusts, and Health Care Directives.